Marijuana use is extremely common despite that it was officially decriminalized in the US in 1937 by the Marijuana Tax Act. Marijuana laws are tricky and vary depending on where you are. Several countries have relaxed marijuana laws or have decriminalized marijuana use, while others have a zero-tolerance policy. There are many reasons why a person would be subjected to a drug test for weed. It could be mandatory for probation, part of the employment hiring process, for a sports team, before a medical procedure or surgery, or due to reasonable suspicion by an employer. No matter the reason, there are ways of passing a drug test for weed so that life can continue as normal. 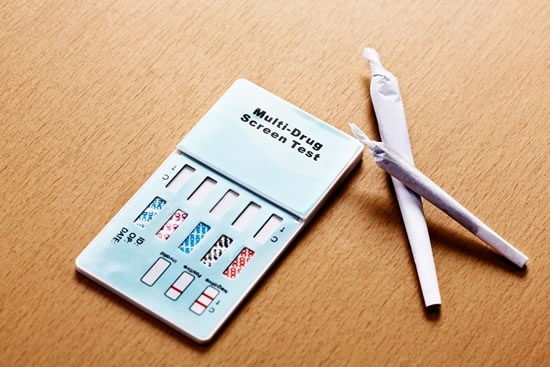 A drug test will not only show illegal substances in the results, but it can show over-the-counter medications as well. This can lead to a false positive result. In fact, not all drug tests are completely accurate. 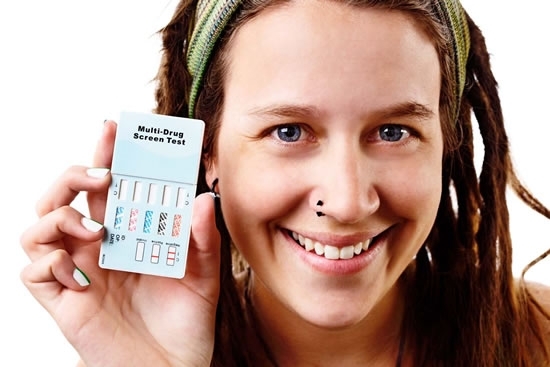 The first result of a drug test is typically tested again to check the validity of the results. It is also common for a different type of drug test to be ordered as a follow-up, such as a blood, urine, or hair test. Tampering of samples does occur and can lead to false results. Urine samples can be tampered with in a number of ways. Many people dilute the urine with water in an attempt to “flush” out the foreign substances and make them undetectable. This is also done by drinking an abundance of water. It is also not unheard of to have someone purchase a sample of urine online or have a friend give their urine sample to use. Modern tests are equipped to detect any abnormalities that suggest tampering, and this results in an automatic failed drug test. Testing for marijuana specifically is a bit different because the results rarely give a false positive. The laboratory first performs an immunoassay test (commonly known as either the EMIT or RIA) and will screen a positive result with a gas chromatograph mass spectrometer (GCMS). The second test gives a more in-depth analysis of the sample, making false positives for marijuana quite rare with modern technology. However, a false positive for marijuana with a hair drug test is possible. Hair can collect marijuana particles by walking through a room with smokers, resulting in a false positive. How Long is Weed Detectable in Your System? Marijuana can stay in the blood and urine for up to 90 days if you are an avid, everyday user. A hair test can determine marijuana use up to 90 days as well. The time frame is much shorter for those who occasionally use marijuana. A saliva test can detect marijuana use up to three days, meaning it only detects very recent drug activity. Detection times are not the same for everyone based on a few different factors. The dose taken has an impact on detection time. A small amount can go through your system quicker than a larger dose may, but that directly correlates to the weed’s potency. Potent weed will excrete more metabolites (the THC molecule) into the urine, making it highly detectable, even if you used very little. Your metabolism is a major factor in detection times as well. Drug metabolism works by making the substance more soluble in water. This means the body is making it easier to excrete the drug, usually through urine. Your body can naturally have a speedier drug metabolism, meaning some drugs may run through your system much quicker and vice versa. Another interesting factor is gender and tolerance. It has been studied that men form a quicker tolerance to marijuana than women do when they begin using marijuana. Tolerance plays a big role with chronic users. Although this is not always the case, it can be harder for an occasional user to get rid of the toxins due to their low-tolerance, despite not being a frequent user. Someone who has used heavily but has a high tolerance can rid their body at a faster rate. All of these factors work together to either make it easier or harder for you to pass a drug test. Since the detection times are different, it is important to understand how each factor influences your body and how fast it rids itself of toxins. Luckily there are at-home testing kits to help you learn how long it takes you to achieve a passable test. Living in an area where it is a criminal offense to use marijuana may subject you to random drug testing. However, a drug test is not always random, and you can have time to prepare, such as applying to a new job where drug tests are a requirement. While there is a lot of information on the internet with pointers on how you can pass a drug test, most of them are just myths and will not help at all. Some will help aid a passing result, but this is alongside an effective method such as a detoxification system. If you have been a long-term, heavy marijuana user, it is ideal to use a total body detox system. Products such as the Synergy Detox 11 Day Total PDS Body & Hair Detoxification System will permanently reduce toxins to pass all the different types of drug tests: hair, urine, blood or saliva drug test. There is also a seven-day system and four-day system. If you are a light or moderate marijuana user and happened to have used recently, a detoxifying drink is ideal for passing a urine test. The Synergy Detox Power Flush Temporary Detoxification System is a fruit punch flavored, 32-ounce beverage that temporarily detoxifies urine for a passable result. The beverage is consumed the same day as the drug test (up to five hours beforehand) and will significantly lower traces of marijuana so that they are below detectable amounts. Urine tests are the most common method of testing for drugs, especially marijuana, so having a temporary detoxifying system on hand is ideal. Naturally, the most effective and best way of passing a drug test for marijuana is to stop using altogether. This is applicable as a long-term solution and will not help you pass a drug test unless it is a saliva test due to its short detection period. Willpower to stop using alongside an effective detoxification system will give you the result you want and need. Check out some of our other articles on drug testing here.